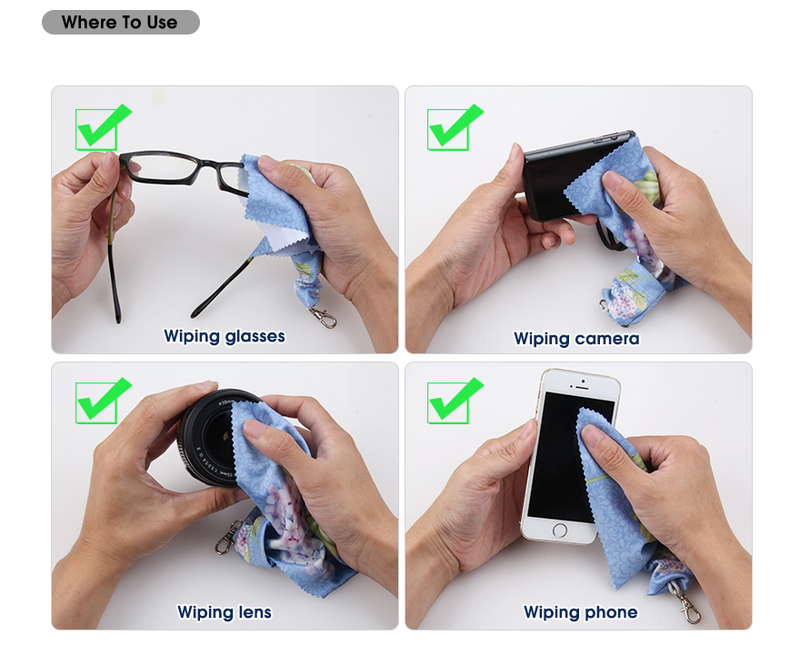 Premium microfiber cloth is applicable to cleaning all sensitive surface of smartphones, touchscreen devices, optic eyeglasses , LCD screen , cameras, jewelry etc. 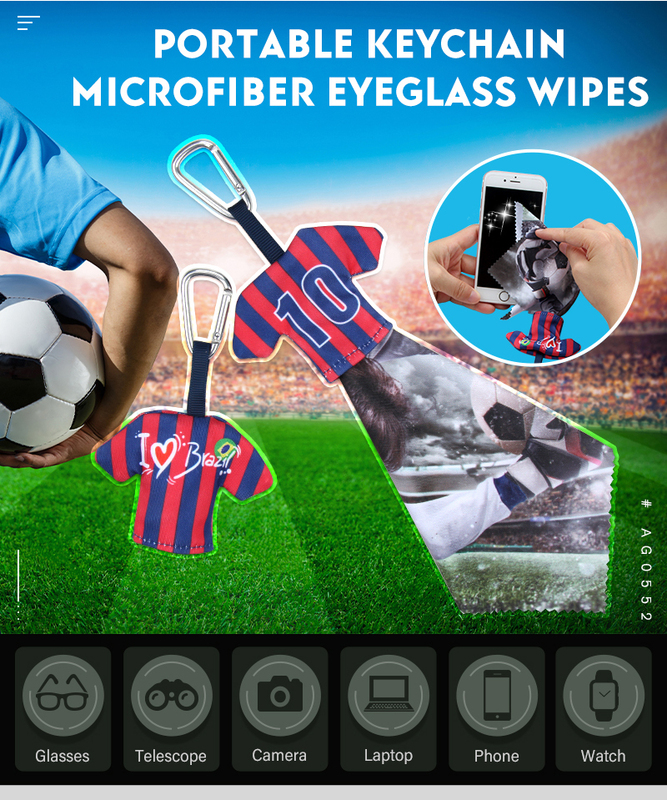 Microfiber lens cleaning cloth safely and easily removes dirts ,oils, smudges & fingerprints from lenses and screens without scratch, superior water absorption. 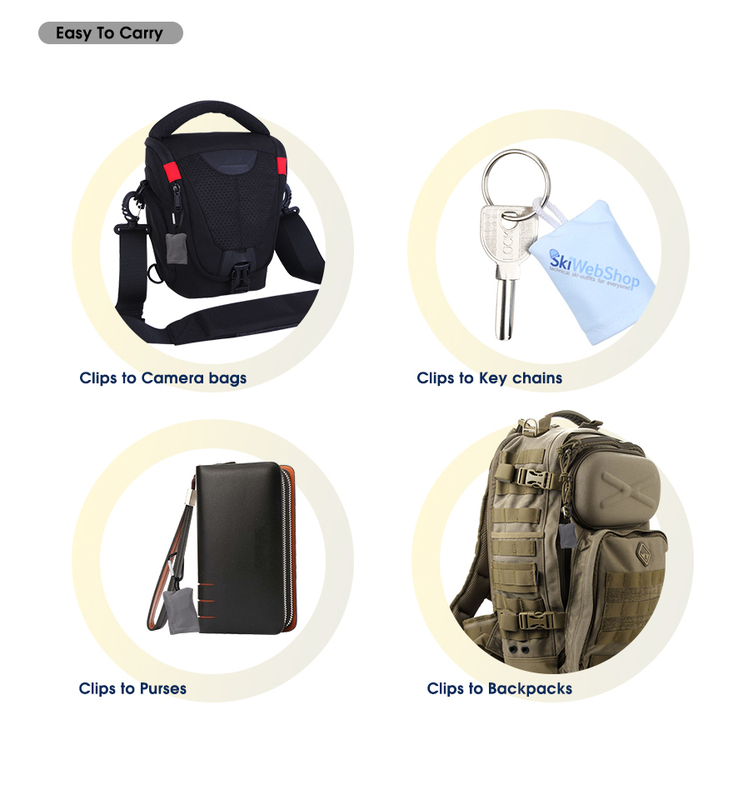 Carabiner attached, convenient to carry, Can be clips to key chains, purses, backpacks, camera bags, binoculars and anywhere else , so your kit is always with you anytime and you never lose your cloth. 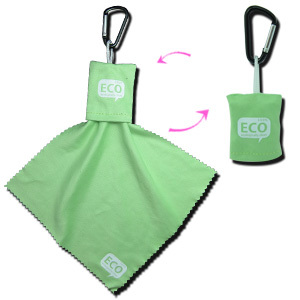 This handy micro-fiber eyeglass cleaning cloth tucks in to stay clean, pulls out for cleaning lenses. 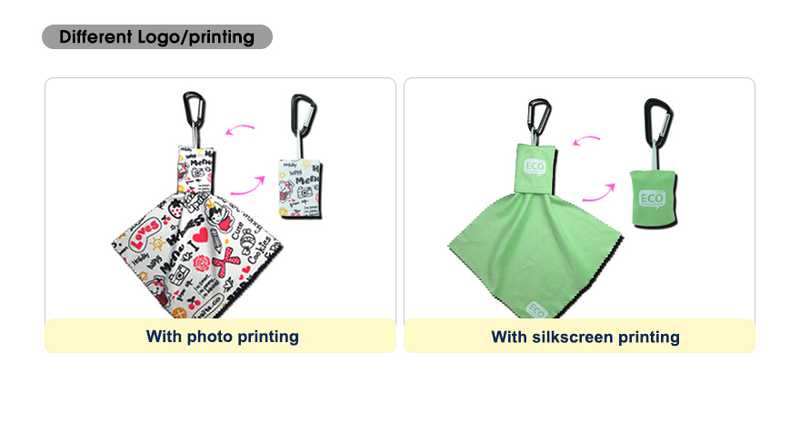 Fold the cloth into the pouch when don’t use , applications for both “To Go” & “Home Use”. 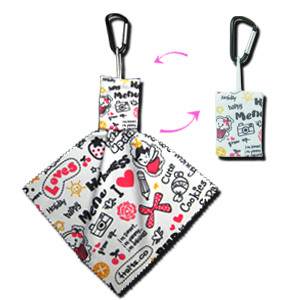 Must-Have accessory for people who use mobile and wear eyeglasses. Right choices of office workers, digital enthusiasts, cameraman, etc. 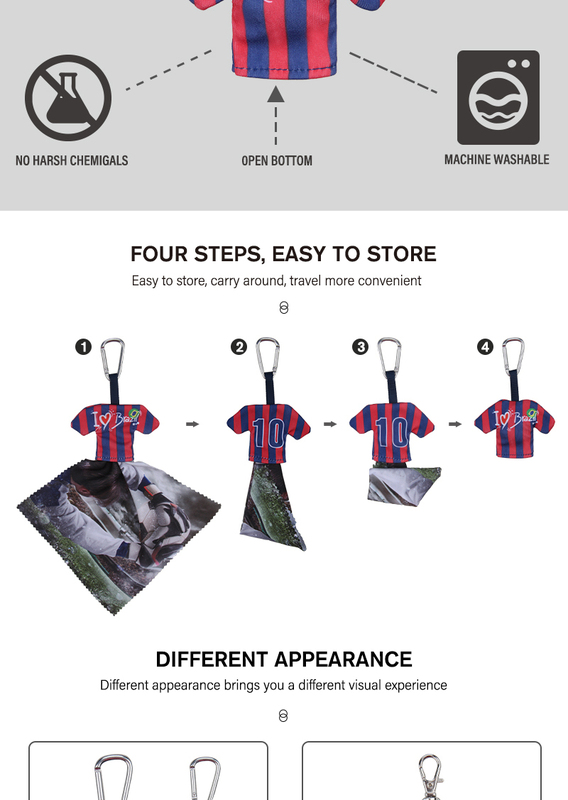 Welcome OEM order at minimum quantity 500 pcs per design.